The agricultural tourism generally termed as Agritourism or agro-tourism denotes a visit to a farm or a ranch that does the cultivation and animal rearing. The agricultural tourism can be further described as cultural exchange tourism, farm stay, village home-stay, rural zone adventure that involves taking a close by a look into the solitary civilization and their livelihood encompassed in their society and traditional ways. The agro-tourism has become one of the alternatives for economic activities in rural regions of Nepal that helps to increase the livelihood of the farmers of rural villages of Nepal. Some additional forms of agro-tourism have led the people to organize the agro-fairs, agro-festivals, agro-expo, and agro-summits in the villages in Nepal. The agro-tourism has made close relations between the interested travelers meet the farmers and see how their food is produced. There is a first time for visitors who have never seen a dairy farm, cornfield, apple farm, flower farm, orange farm, and tea leaf garden e.t.c. The Himalayan Alpine Herbal and Agriculture Farm has created an opportunity for agriculture tourism in Nepal by making space for tourists on their farms. 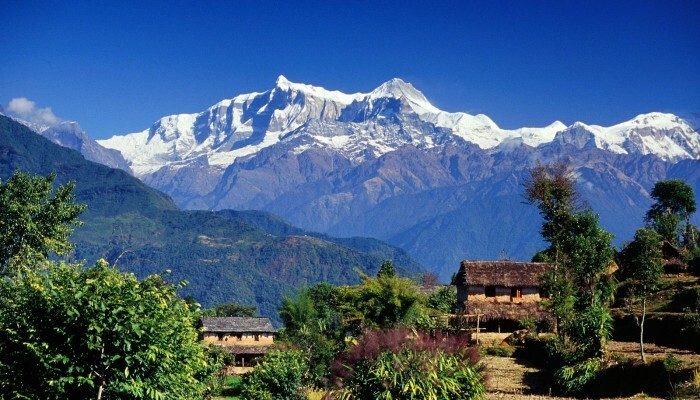 The tourists staying at Himalayan Alpine Herbal and Agriculture Farm will have a close encounter with traditional agriculture system of Nepal along with an opportunity to investigate the farm of rural Nepal. The tourists will see the organic farming techniques applied at Himalayan Alpine Herbal and Agriculture Farm. The tourists will have an opportunity to taste the fresh vegetarian agriculture produced taken directly from the farm along with fresh meats of birds and animals raised on the farm. The Himalayan Alpine Herbal and Agriculture Farm organizes the local agro-fairs and agro-festivals for the tourists where tourist can buy organic products, enjoy fresh fruits and vegetables, cultural exchange with locals, fruit picking from the farm, feeding animals and another sort of entertainment activities. The other famous agro-tourism activities from Nepal are the boating in a modernized lake in village of Chitlang, horse riding in a distant hill resort of Nagarkot, traditional highland honey hunters’ farm at Gurung village of Annapurna region, traditional cheese factory of Langtang valley, Trout Fish lunch or dinner at Trout fish farm at Kakani, Strawberry lunch at strawberry farm at Kakani, visit the yak pastures on a distant hill, passing through a corn maze in Chitwan national park, and home-stay at distant remote highland village.